10% discount on 3 bottles or more of wine purchased. 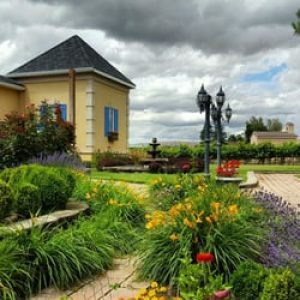 Private tours of the wine making facility ($10 per person) or a tour of the Rattlesnake Hills AVE ($10 per person) are available with advance notice. We grow and produce a variety of Bordeaux reds, dry whites, sweeter chilled wines, and Ports. Our plan has always been to make the best possible wines (we do win a lot of medals), but to not take ourselves too seriously. We want people to enjoy the wine tasting experience, whether they are new at this, or sophisticated wine drinkers.